At Sprinkle Construction, we are committed to providing the most satisfying building experience you could hope for. Whether it is to build a deck, screen a porch, finish your basement or build the home of your dreams from the ground up, we have both the experience and integrity to do the job, do it right, on time, and on budget. Secondly, our North Carolina mountains are beautiful, but building here in the mountains sometimes comes with unique challenges. That’s where Sprinkle Construction excels, while other less-familiar builders may be overwhelmed and fall short of expectations. Finally, to insure that you have the perfect finished product, we work hand in hand with a home designer who can expertly situate your design on the lot of your choice. 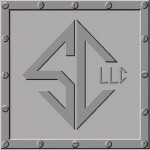 Sprinkle Construction is ready to review your project, and we offer a free building site analysis. Call us today! 828.776.3215!